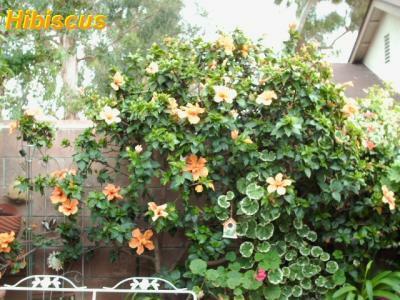 My hibiscus looks great, good color leaves and lots of buds to bloom, nothing falling off yet, but no blooms as of yet. There are no bugs. I just want to know when will I see a bloom? The buds are about 1 inch right now. Help me, it's my first hibiscus. Thanks. I believe hibiscus is a flower that grows in southern U.S. They grow here in FL. You might want to do a computer search. We have hibiscus in the north too, both the tropical and the hardy. I only grow the hardy ones here in zone 5 but they should bloom anytime for you in your zone. They like lots of heat and humidity as they are tropical. Mine has been blooming for some time now,But we live in mild winter zone 9 . This one is called Tutti Fruiti.